We worked with Z Studio Labs to design user friendly functions for Locate Express, a real-time location-based search iPhone app. 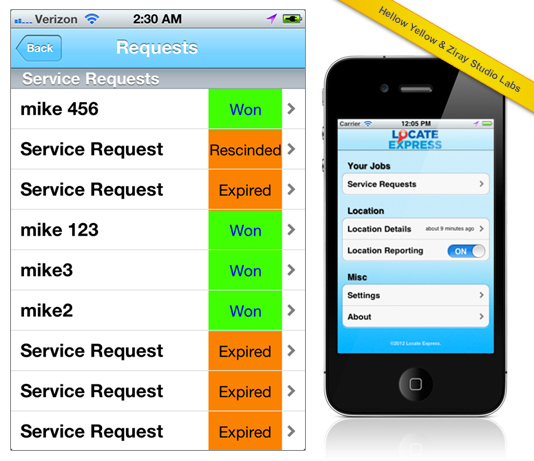 The app is for local service businesses who work in the field traveling from customer to customer. Locate Express turns smartphones into sales devices with job requests pinging phones when near a homeowner in need of service. Locate Express finds homeowners a service pro who is available in seconds.